The museum of this week is not actually a museum, at least not in the traditional sense. But I would argue that Kew Gardens is a museum of sorts, because it is a repository of the world’s botanical history. Again I must confess I haven’t been to Kew this week, but back during the summer. With winter finally upon us and things in London looking quite grey and dreary, I felt the need for a reminder that this cacophonous, crowded city can offer little pockets of paradise when the sun shines (please excuse the excess of alliteration in that sentence! I got carried away). Kew houses some of the oldest and rarest plants in the world, including the critically endangered Australian tree the Wollemi pine (Wollemia nobilis), which until 1994 was only known from fossils (the youngest of which were 2 million years old). Like the coelacanth and takahē, Wollemia is known as a ‘Lazarus taxon‘ – an organism previously thought extinct that has been rediscovered (much like Lazarus returning from the dead). 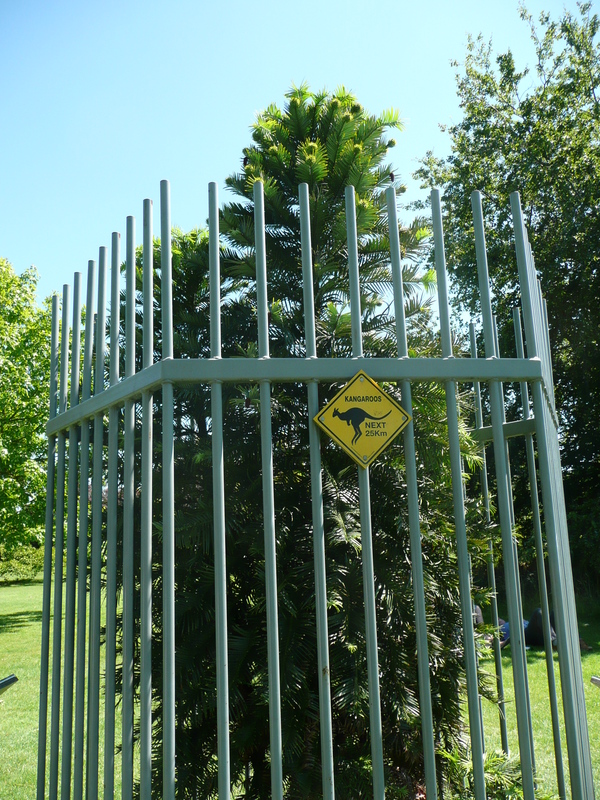 And while the wild population of the Wollemi pine is still only about 100 trees, you can buy one for your garden in the Kew gift shop! They have been quite successfully cultivated, and are now much more numerous in gardens than they are in Australian forests. Kew is impressively large, and there are many things to explore, including some enormous greenhouses, an exhibit on the evolution of the planet and its plants, an aquarium (housing mostly aquatic plant species), a worryingly high (and wobbly!) tree-top walkway, and of course the historic royal palace (which I didn’t have time to visit). There’s far more to see than can be seen in a day, and I missed huge areas of the gardens. I’m planning to go back sometime in spring to try and see the rest because I had such a lovely day there. Or Museum-of-Several-Weeks-Ago, as it now is. Before Christmas I went to the Natural History Museum to see the Wildlife Photographer of the Year exhibition. I’ve visited it for the past few years at Bristol Museum, but this year since I’m in London I wanted to see the full show as it was intended to be seen. Which meant I had to pay for it (the touring version in Bristol is free. And on now, go visit it Bristol people! ), but with my student card it was pretty cheap. And I’d say well worth £4.50. The images were stunning and, for an amateur photographer like myself, absolutely inspiring. I’m now researching digital SLR cameras so that I can take better photos, and maybe even one day enter Wildlife Photographer myself. Although the competition is stiff, and standards are incredibly high. This year, the first place prize was actually withheld in one of the categories! I thought all of the shots were beautiful, but they were still apparently not good enough for a first place. Which suggests that my unpolished efforts would stand no chance. Oh well, a girl can dream! My favourite images included a lovely artistic black and white shot of a bird in a tree, a dolphin amongst a stack of false killer whales (because it’s a fantastic ‘spot-the-odd-one-out’ moment, and the first time the behaviour has been photographed), a coyote standing on railway tracks (in fact, I loved all of the urban wildlife shots), and a portrait of pelicans feeding. The overall winner was not a shot I would consider beautiful…it was wonderfully artistic, extremely well-composed, and very poignant, but it wasn’t one of my favourites. The exhibition is on at the NHM until 11th March 2012, and also at various museums around the UK and the world. If you love wildlife and photography, I would definitely recommend going. And even if you don’t, I’d still recommend going. Has anyone already been? Which photos were you particularly enamoured of? And what did you think of the winners?